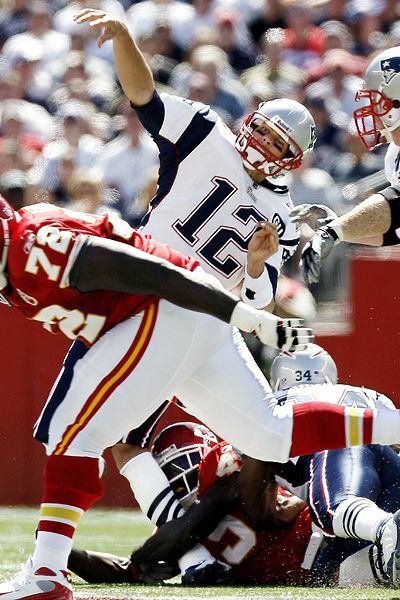 Tom Brady suffered a left knee injury midway through the first period of the Patriots' season-opening victory over the Chiefs. Brady's streak of 128 consecutive starts, the third-longest in NFL history, might be in jeopardy. The Patriots -- and the rest of the NFL -- are awaiting word on Tom Brady's knee injury.